The worship and consulting of the dead. Summary: Learn the Hebrew words for some of the concepts surrounding death in the Bible. One of the most deceptive doctrines of Babylon is the doctrine of the immortality of the soul. This teaching suggests that humans don't actually die, but instead our souls are merely transferred to a new dimension of living, whether it be purgatory or an immediate afterlife. 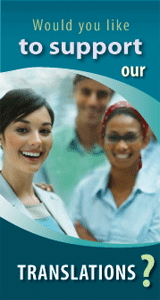 This doctrine has permeated the religious world with its false promises and claims. The truth of the matter is that when we die, our souls enter the sleep of death, and will not be resurrected until Christ returns. Soul immortality is a dangerous doctrine. If we believe in soul immortality, it becomes easy to accept other false ideas such as spiritism, reincarnation, and necromancy. Soul immortality also offers a false hope, because it allows for multiple chances to qualify for salvation—whether through purgatory, praying to dead saints, or purchasing indulgences for those who have already died. We should not tolerate any of these doctrines or practices because they are all rooted in a false perception of death. Learn more about the Biblical perspective on death, and some of the false doctrines that have distracted people from the truth. 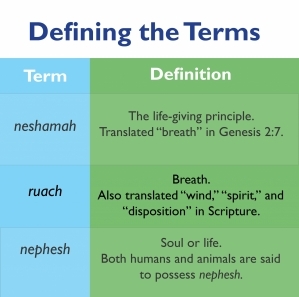 The Hebrew word for "breath" in Genesis 2:7 is neshamah: the life-giving principle. The breath is equivalent to life itself (Isaiah 2:22). Another Hebrew word which is translated 28 times as "breath" in the King James Version is ruach, which can also mean "wind," "disposition," or "spirit." It is translated 237 times as "spirit" in the KJV. In Genesis 2:7, God's breath makes the inanimate material come to life, and transforms it into a living soul. Job correlates the usage of breath and the spirit, saying, "All the while my breath is in me, and the spirit of God is in my nostrils" (Job 27:3). Moses reported that the breath of life was in Adam's nostrils, whereas Job referred to both terms, saying that the spirit of the Lord was in his nostrils. Hence, the Hebrew terms neshamah and ruach are used here in a similar context—namely life itself. According to the Scriptures, all living creatures received life in the same way from God, and are subject to the same fate (Genesis 2:19; 7:15). Both human and beast "have all one breath; so that a man hath no preeminence above a beast" (Ecclesiastes 3:19). And since humans and beasts have one breath, they also die the same way. "For that which befalleth the sons of men befalleth beasts...as the one dieth, so dieth the other (Ecclesiastes 3:19)." Both humans and animals were created from dust. When they die they return again to dust; the reverse of Creation (Genesis 3:19). The Hebrew for "soul" is nephesh, and both the terms ruach and nephesh have frequently been misapplied to suit unBiblical positions about death.